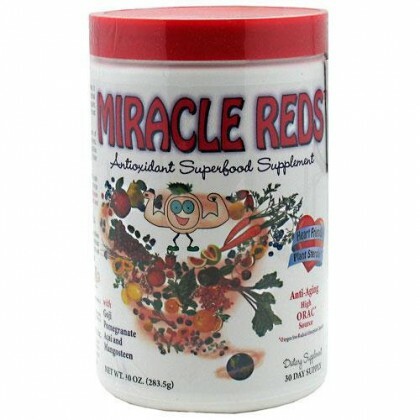 ​Miracle Reds is more than a fruit blend, is a complete phytonutrient, anti-aging, herbal formula. The base consists of organic plant-based extracts, proven to be the most effective and the least allergenic. Miracle Reds is an abundant source of antioxidants, plant sterols, co-nutrients, vitamins, minerals, enzymes, and acidophilus cultures for those who prefer to get their nutrition from whole foods. Miracle Reds is ALL NATURAL and made with an array of fruits and vegetables.